When our boys were little, the Petersen Automotive Museum was one of our favorites in Los Angeles, and the all new museum is better than ever! 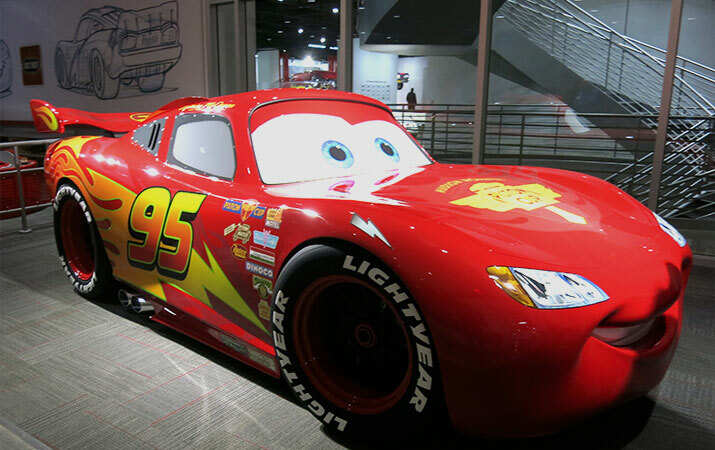 Make a beeline for the Pixar Cars Mechanical Institute, a hands-on experience for kids in the museum. La Brea Tar Pits, one of world’s largest Ice Age fossils sites, is located right in downtown Los Angeles. The Page Museum is a treasure trove of extinct prehistoric animals, life-size animatronic animals, hands on-exhibits, and Ice Age Encounter, with a costumed saber-toothed cat.